Item # 307486 Stash Points: 4,995 (?) This is the number of points you get in The Zumiez Stash for purchasing this item. Stash points are redeemable for exclusive rewards only available to Zumiez Stash members. To redeem your points check out the rewards catalog on thestash.zumiez.com. Give our little shredder a fashionable and weather-resistant new look with the Vans Boys Torrey Camo Coaches Jacket. 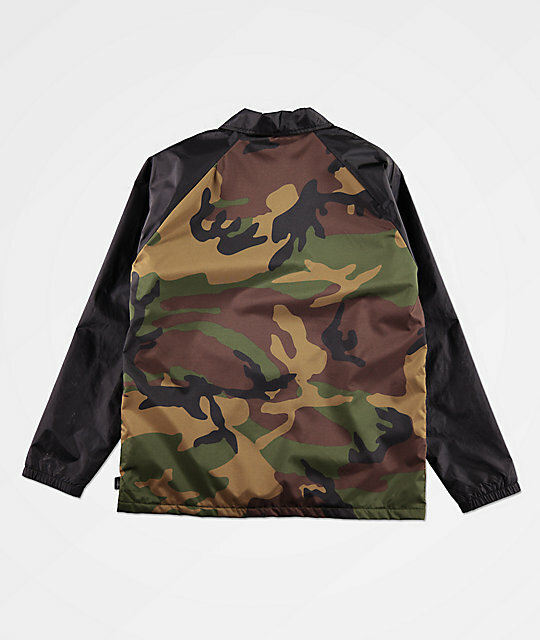 This water and wind-resistant jacket features a forest camo body with a screen-printed logo at the left chest in white for clean branding. Solid black sleeves and a black fold down collar add additional style points while a full snap-button closure maintains this jacket's traditional silhouette. 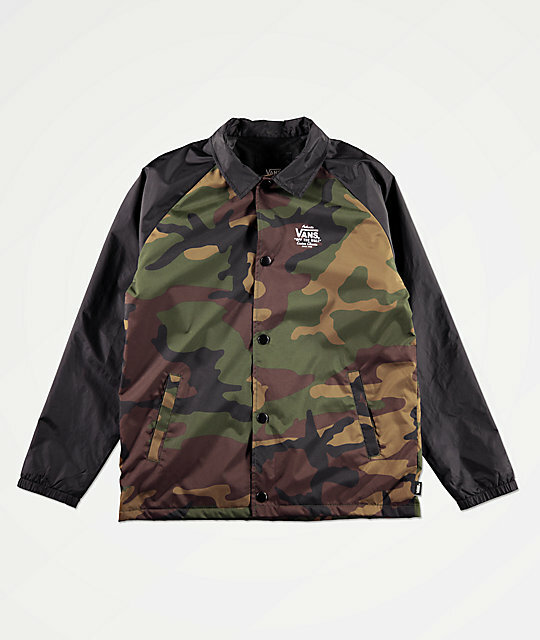 Boys Torrey Camo Coaches Jacket from Vans. Military green, black and brown camouflage print throughout body with solid black sleeves. Screen-printed script graphic on front left chest in white. Machine wash warm, tumble dry normal. 24" (60 cm)from top shoulder seam to bottom hem on a size Youth Large.